Merry is a Christmas Elf. He loves nothing more that helping to decorate trees and spreading some Yuletide cheer. Apart from the hot summer months, he’ll more likely be wearing his festive red hat. He loves a tipple of mulled cider and he adores mince pies. 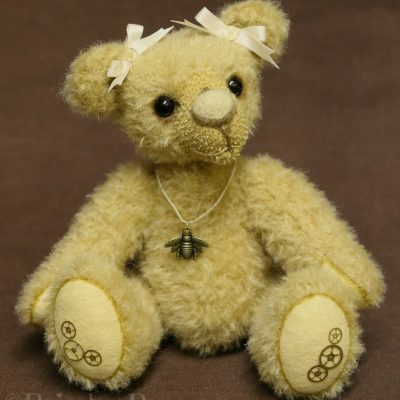 Merry is a one of a kind bear made from gorgeous sparkly mohair. 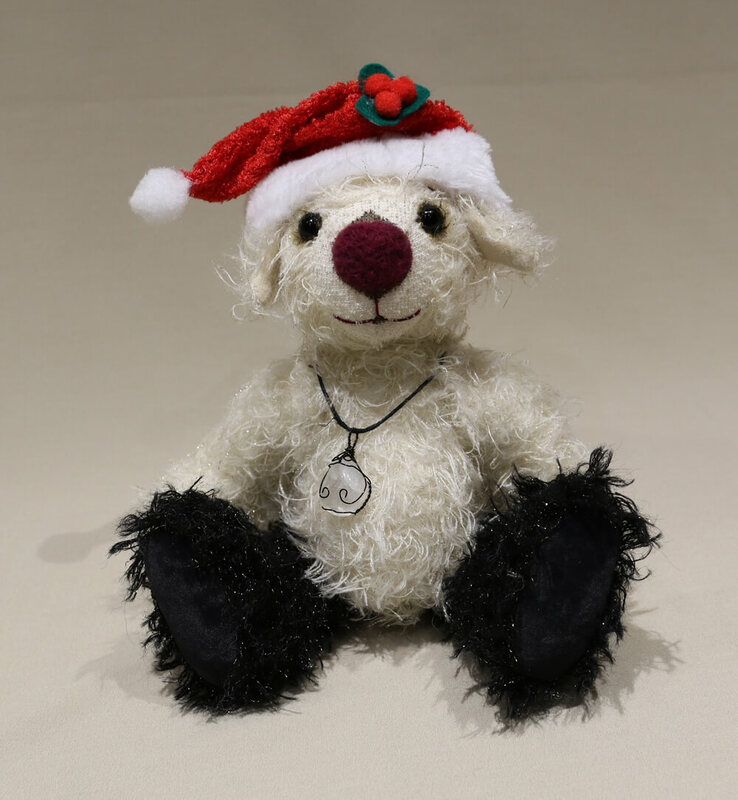 He is 10″ (25cm) tall, has hand black glass eyes and a large wine coloured needle felted nose. Merry is fully jointed, with a cotter pin neck joint and nuts and bolts in his arms and legs. He is filled with heavy polyester fibre and has some steel shot in his tummy. 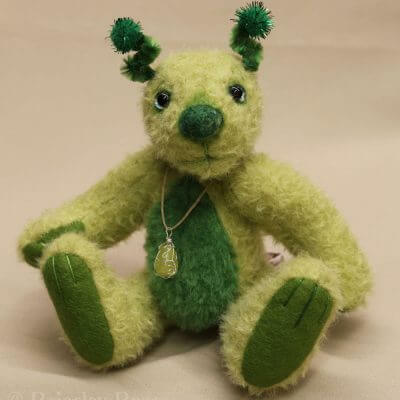 He has cashmere paws and ears which have a little hand shading and his face has been carefully scissor sculpted and hand shaded. 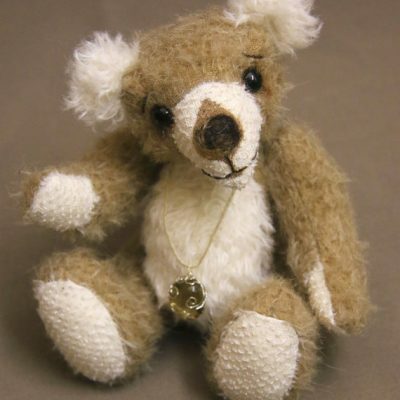 Merry is also wearing a handmade wire wrapped clear crystal quartz pendant.